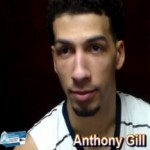 Anthony Gill is a tweener, they say, and that’s the worst thing you can be as an NBA prospect, a tweener. UVA’s Anthony Gill was selected by the National Association for Basketball Coaches to play in the Reese’s Division I College All-Star Game. UVA coach Tony Bennett and players Mike Tobey, Anthony Gill and Malcolm Brogdon talk with reporters after the Cavs’ 68-62 loss to Syracuse. UVA coach Tony Bennett and players Mike Tobey, Anthony Gill and Malcolm Brogdon talk with reporters after the Cavs’ 84-71 win over Iowa State in the Sweet 16. Anthony Gill brings joy, along with his post scoring, rebounding and interior defense, to Virginia basketball. UVA basketball coach Tony Bennett and Cavs players Malcolm Brogdon, Anthony Gill and London Perrantes talk with reporters in Chicago on the eve of the Midwest Regional. UVA coach Tony Bennett and Cavs players Marial Shayok, Anthony Gill and Malcolm Brogdon after the Cavs’ 77-69 win over Butler in the 2016 NCAA Tournament. Top seed UVA had been in this position before. As a top seed in 2014, the Cavs trailed #16 seed Coastal Carolina by 10 points in the first half and had to rally to win. Virginia coach Tony Bennett and Cavs players Malcolm Brogdon and Anthony Gill talk with reporters after the Cavs’ 61-57 loss to North Carolina in the ACC Tournament final on Saturday. Virginia players Malcolm Brogdon, Anthony Gill, London Perrantes and Evan Nolte talk with reporters after the Cavs’ 73-68 win over Miami in the 2016 ACC Tournament semifinals. Virginia coach Tony Bennett and seniors Malcolm Brogdon and Anthony Gill talk with reporters after a 72-52 win over Georgia Tech in the ACC Tournament quarterfinals on Thursday. Virginia senior guard Malcolm Brogdon was named Atlantic Coast Conference Player of the Year and Defensive Player of the Year by the ACC coaches on Monday. Virginia is 41-1 at home since the exam break in December 2013. If you wear orange and blue, you pretty much know when you get in your car to head to the John Paul Jones Arena that the good guys are going to win. All that stuff about Virginia senior forward Anthony Gill being in a crisis? Two numbers for you: 15 and 9. Last week Virginia had an Anthony Gill problem. Now we’re in full-blown crisis mode. Should Virginia fans be worried about senior forward Anthony Gill? Have to say yes. Gill had another subpar game Monday in the Cavs’ 73-53 win over NC State. Virginia senior forward Anthony Gill (High Point, N.C.) was one of 10 players named to the 2016 Allstate NABC Good Works Team®. Much discussion in the past 36 hours on the message boards has focused on what appears to be a growing divisiveness on the Virginia basketball team. When Notre Dame played man, Virginia fed Anthony Gill and Mike Tobey in the post. When the Irish played zone, Malcolm Brogdon got easy looks from three. The polls had this one as #8 Virginia against #12 Villanova. The KenPom.com power rankings had these two teams in the top five nationally. Virginia senior Anthony Gill (High Point, N.C.) has been voted the Atlantic Coast Conference Men’s Basketball Player of the Week. UVA basketball senior Anthony Gill is one of the top players in America. But at Media Day, you have to answer silly questions, and one that Gill had to field concerned his new hairdo. UVA basketball is getting used to high expectations. That comes with putting up back-to-back ACC regular-season championships and 30-win seasons. But coach Tony Bennett, talking with reporters at the program’s media day on Wednesday, made it clear that his focus is on a different set of expectations. When the brackets were announced on Selection Sunday, the first jolt for UVA was that the Cavs, in the top three in the national polls much of the season, had slipped to the two seed in the East Regional. During an NCAA Tournament press conference, Virginia’s Justin Anderson takes a moment to share his personality and asks teammate Anthony Gill to name his roommates. Watch the humorous moment unfold as Gill rattles off multiple teammates, but doesn’t include Anderson. UVA coach Tony Bennett and players Malcolm Brogdon and Anthony Gill talk with reporters after the Cavs’ 79-67 win over Belmont on Friday in the NCAA Tournament East Regional in Charlotte, N.C.
UVA forward Anthony Gill tells ACCDN host Jeff Fischel that maturity and experience will help the Cavaliers in their run at a title. Gill also feels games against teams like Virginia Tech and Davidson have prepared them to defend a sharpshooting Belmont squad. UVA coach Tony Bennett and players Malcolm Brogdon and Anthony Gill talk with reporters on the eve of the Cavs’ NCAA Tournament game with Belmont on Friday in Charlotte. UVA basketball player Anthony Gill talks with Augusta Free Press editor Chris Graham after the Cavs’ loss to North Carolina in the 2015 ACC Tournament. UVA basketball coach Tony Bennett and players Malcolm Brogdon and Anthony Gill talk with reporters after the Cavs’ loss to North Carolina in the 2015 ACC Tournament. Augusta Free Press editor Chris Graham interviews UVA basketball players Darion Atkins, Mike Tobey, Evan Nolte and Anthony Gill after the Cavs’ win over Florida State in the 2015 ACC Tournament. Slow starts: Syracuse and Louisville each jumped out to quick double-digit leads over third-ranked UVA in games last week. Coach Tony Bennett noted after the Louisville game Saturday night that his team can’t afford to continue come out of the gate as sluggish as it has been of late. Augusta Free Press editor Chris Graham and writer Jerry Carter talk with UVA basketball players Anthony Gill, London Perrantes and Malcolm Brogdon on the eve of the third-ranked Cavs’ appearance in the 2015 ACC Tournament. The UVA men’s basketball team had four players earn All-ACC awards Sunday as the Atlantic Coast Sports Media Association (ACSMA) announced its 2014-15 honors. The Cavaliers tied a school record with three All-ACC selections, while Tony Bennett repeated as ACC Coach of the Year and senior Darion Atkins (Clinton, Md.) was named ACC Defensive Player of the Year. UVA basketball players Darion Atkins, Malcolm Brogdon, London Perrantes and Anthony Gill talk with reporters after the second-ranked Cavs defeated Virginia Tech, 69-57, in ACC basketball action on Saturday. Interviews with UVA basketball players Darion Atkins, Malcolm Brogdon and Anthony Gill after the second-ranked Cavs defeated Florida State, 51-41, on Sunday in ACC basketball action. UVA basketball player Anthony Gill talks with reporters after the second-ranked Cavs defeated Florida State, 51-41, on Sunday. 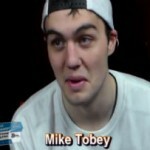 Should Mike Tobey see more time for #2 UVA? Seven-footer Mike Tobey can carry second-ranked UVA, like he did early in the 76-27 win over Harvard on Dec. 21 when he scored the Cavs’ first nine points to fuel the early run that set the tone for that blowout win. UVA forward Anthony Gill talks with reporters after the third-ranked Cavs’ 52-47 win over #9 Louisville on Saturday night. UVA basketball player Anthony Gill talks with reporters following the second-ranked Cavs’ 50-47 win at Virginia Tech on Sunday. What is up with UVA forward Anthony Gill? Remember back when Anthony Gill was dominating Davidson en route to scoring a season-high 25 points in a UVA win on Dec. 30? UVA freshman forward Isaiah Wilkins hadn’t played in several games before he heard his name called Saturday at Notre Dame. At the 7:28 media timeout, Notre Dame up, 45-43, I asked the question on our live blog. Is there a #Cavalanche in the guys tonight?